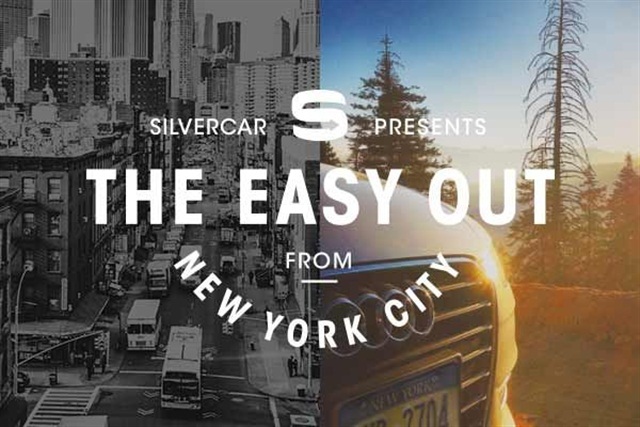 Launching today and running through the end of the year, Silvercar, the app-based car rental operation, will kick start “The Easy Out” partnership for a second limited-time run in NYC. Silvercar will offer its fleet of Audi A4s for pickup and drop off at the Silver Towers building at 600 W. 42nd St., according to the company. Additionally, Silvercar has partnered with The Arnold House, a 10-room inn on Shandalee Mountain in the Catskills, which has organized a fall foliage driving tour for guests that use Silvercar as their mode of transportation to the inn. After booking a reservation in advance, customers can access their car by opening the Silvercar app and tapping a button to alert their personal concierge that they’re about 15 minutes away. A Silvercar will be waiting upon arrival, according to the company. Silvercar rentals are priced as low as $79 per weekday and $129 per weekend day. Currently, Silvercar has locations in Austin, San Francisco, Los Angeles, Dallas, Miami, Fort Lauderdale, Denver, Chicago and Phoenix. For more information, visit www.silvercar.com.